Joe DeGuardia, CEO and President of Star Boxing, has added yet another unbeaten prospect to his growing stable of fighters, the latest being former NY Golden Gloves Champion, and hot Puerto Rican prospect, Emanuel Gonzalez (7-0, 6KO's). Gonzalez will make his Star Boxing debut on the first show (May 5th) of the 2011 "Punchin at the Paradise" fight series at the historic Paradise Theater located on the Grand Concourse in the Bronx. Gonzalez will take on Jacob Thorton in a six round super featherweight match-up. "Emanuel Gonzalez seems to have everything you look for in a fighter, he has the potential to be the complete package," stated DeGuardia. "He can box, he can bang, he has very fast hands and he can knock you out with either one of them. We are excited to feature him on our May 5th Bronx show, and believe he will quickly become a fan-favorite as well as an integal part of our series at the Paradise Theater." Gonzalez a former NY Golden Gloves Champion, turned pro in December of 2008 scoring the first of his seven career knockouts when he stopped Jean Ramos in the third round of their scheduled four rounder. 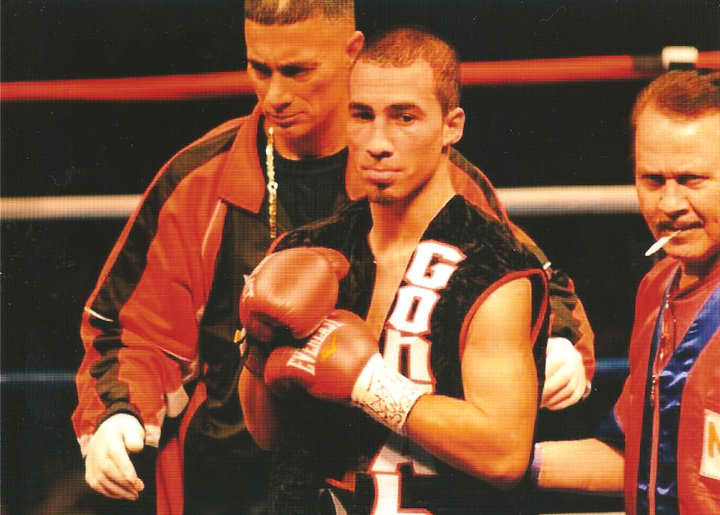 In his last bout, Gonzalez picked up a win in his native Puerto Rico over Pedro Salcedo. Gonzalez is lucky number seven on the list of undefeated prospects DeGuardia has added within in the last year, as he joins Chris Algieri (11-0, 6KO's, jr. welterweight), Brandon Gonzales (14-0, 10KO's, middleweight), Jason Escalera (10-0, 9KO's, super middleweight), Jean Paul Mendy (29-0-1, 16KO's, super middleweight), Sakhib Usarov (15-0, 6KO's) and Joe Hanks (16-0, 11KO's, heavyweight). Tickets are priced at $30, $50 and $100 and can be purchased by calling the Star Boxing office at 718 823-2000, visiting www.starboxing.com or simply by CLICKING HERE: Tickets can also be purchased by visiting the Paradise Theater box office, located at 2417 Grand Concourse in the Bronx, NY.